Fairway villa located on Sea Trail Byrd Golf Course (16th hole) - HIGH SPEED WIRELESS INTERNET- Non-smoking - No Phone. 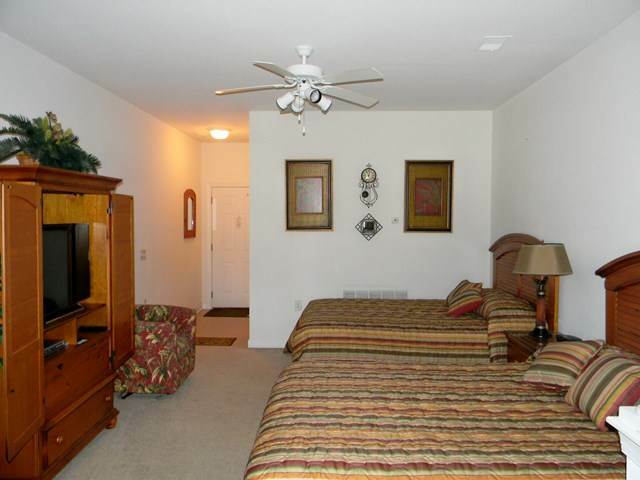 One bedroom/one full bath, kitchen/dining area, 2 queen beds, large flat panel television, DVD, central heat & air. The condo had two queen beds and a private bath. The condo has an open floor plan with kitchenette area including microwave/coffee maker/refrigerator and sink. There is a sitting area for dining and leather club chair for reading. This is the perfect retreat for rest and relaxation after a day of beach and golf activity! The condo complex has a pool available for guest use free of charge. Complimentary linens, towels and departure cleaning service. 4 NIGHT MINIMUM STAY JUNE - AUGUST - 2 NIGHT MINIMUM SEPTEMBER - MAY!